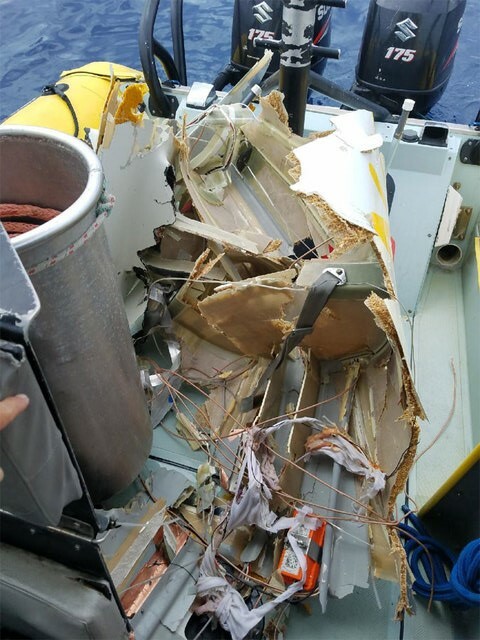 On March 31, 2018, about 1120 eastern daylight time, an experimental amateur-built Lancair LNC2, N4ZQ, impacted the Atlantic Ocean off the coast of Stuart, Florida. The private pilot and passenger were fatality injured and the airplane was destroyed. The airplane was owned and operated by the pilot as a 14 Code of Federal Regulations Part 91 personal flight. A defense visual flight rules flight plan was on file and the flight originated from Stella Maris Airport (MYLS), Long Island, Bahamas, about 0940 and was destined for Treasure Coast International Airport (FPR), Fort Pierce, Florida. According to preliminary Federal Aviation Administration (FAA) radar data, a radar target identified as the accident airplane was at 8,000 ft mean sea level (msl) until 1113. At that time, the airplane descended 4,000 ft in two minutes, leveled off, and remained at 4,000 ft until about 1120, when radar contact was lost with the airplane. According to a pilot who was flying another airplane from MYLS, the accident pilot topped the airplane off with fuel prior to takeoff. They both planned to fly at 8,000 ft msl and he talked to the accident pilot twice in flight about airspeed and the distance from the destination airport, since the accident pilot departed about 45 minutes after him. When the witness pilot was about 50 miles from a filed waypoint, he noted weather near the waypoint and requested to divert. He deviated to the south of the weather, and when he was west and south of the waypoint he entered instrument meteorological conditions. He remained in instrument conditions until he was descending to land, broke out of the clouds about 1,500 ft msl, and performed a visual landing at FPR. 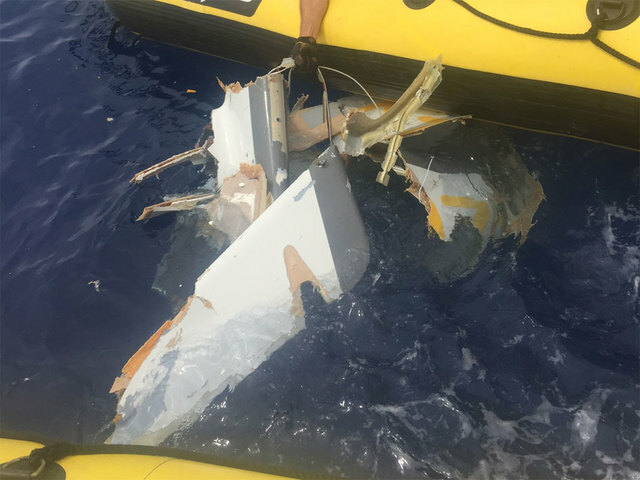 Debris from the accident airplane were located by the U.S. Coast Guard about 10 miles north of the airplane's last radar-observed location. 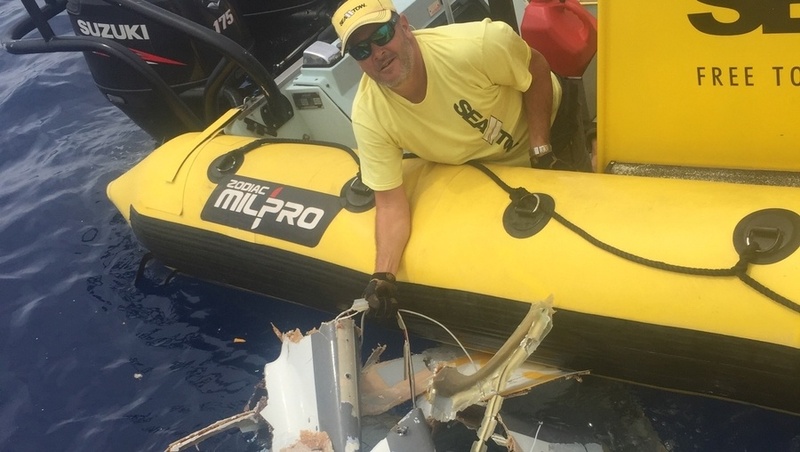 A section of the wreckage was recovered and taken to a salvage facility for further examination. Angier Moseley Ames, 71, and Gynna Gutshaw Ames, 70, of Hamilton, Massachusetts and Port Orange, Florida passed away on March 31, 2018. Angier and Gynna died doing something they loved, flying back from a vacation in the Caribbean in their Lancair airplane. Angier, the son of Ellen and Oliver Ames, was born in Boston MA and grew up in Beverly Farms, MA. Gynna, the daughter of Dorothy and Kenneth Gutshaw, was born in Charlestown, WV and grew up in Port Washington, NY. Prior to retirement, Angier had a career spanning from financial advisor to manufacturing to running a successful wine/beer distributorship. Gynna taught fifth grade at Brookwood School for over 20 years before retiring in 2015. Gynna and Angier were married at Saint Johns Church in Beverly Farms, MA in 1983. Angier is survived by brothers Oliver Ames and Thomas Ames; his daughter Ellen Smith; son-in- law Chad Smith; grandsons Carter and Henry; and son Angier Moseley Ames Jr. Gynna is survived by her brother John Gutshaw; sister-in-law Laurie Gutshaw; daughter Taryn Hartnett; son-in-law Avery Chapman; granddaughter Gray Chapman; daughter Britten Tyler; son- in-law Wat Henry Tyler III; and grandson Wat Henry Tyler IV. A celebration of life will be held on May 19, 2018 at 11:00am at Brookwood School, 1 Brookwood Rd., Manchester-by-the-Sea, MA 01944. In lieu of flowers, the family requests that donations be made to The Gynna and Angier Ames Endowment for Faculty Support, c/o Brookwood School, 1 Brookwood Rd., Manchester-by-the-Sea, MA 01944, or Care Dimensions Hospice of the North Shore, 75 Sylvan St., Suite B-102, Danvers, MA 01923. ST. LUCIE COUNTY — A plane crashed 20 miles east of the St. Lucie Inlet, killing the pilot and passenger Saturday, according to the U.S. Coast Guard and the Federal Aviation Administration. About 11:45 a.m., the Air Traffic Control Center in Miami notified the Coast Guard of a suspected downed Lancair 360 (LNC2), officials said. The pilot had told air traffic controllers he was changing course because of weather, then lost communication with them, the Coast Guard said. Coast Guard crews and partner agencies found a debris field in the ocean. 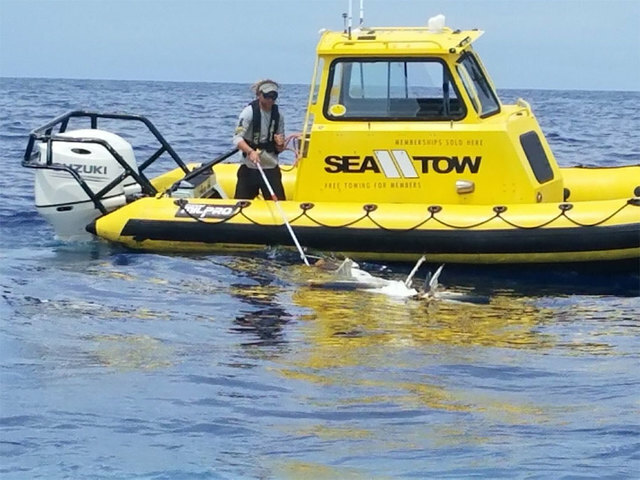 The St. Lucie County Marine Unit, the Martin County Sheriff's Office and the Florida Wildlife Conservation Commission assisted with the search. The National Transportation Safety Board and the Federal Aviation Administration will continue the investigation into the crash. The aircraft departed from Stella Maris Airport in the Bahamas, Federal Aviation Administration spokeswoman Kathleen Bergen said. No information was available about the identities of the people on the plane, their destination or how the crash happened. 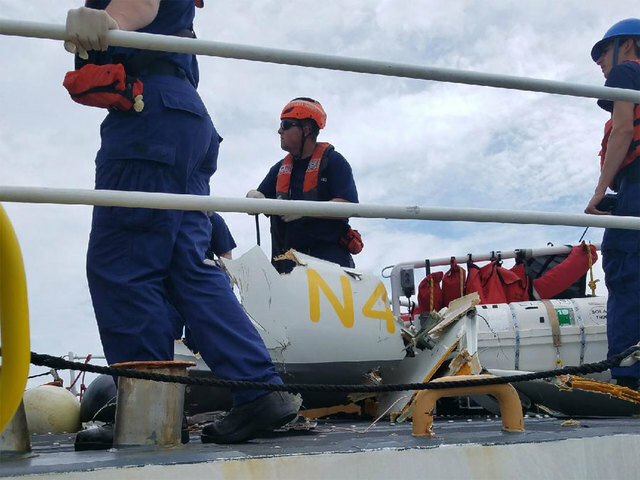 ST. LUCIE, Fla. — The Coast Guard along with partner agencies found the remains of two people involved in a downed aircraft incident Saturday approximately 20 miles east of St. Lucie Inlet. The Miami Air Traffic Control Center notified Coast Guard 7th District watchstanders of a suspected downed aircraft at approximately 11:45 a.m. The pilot stated to the Air Route Traffic Control Centers he was changing course for weather avoidance and shortly after, they lost communication. Coast Guard crews and partner agencies located a debris field approximately 20 miles east of St. Lucie Inlet and the sole two occupants of the aircraft deceased. Investigations or further inquiry into this matter will be conducted by the National Transportation Safety Board or Federal Aviation Administration. 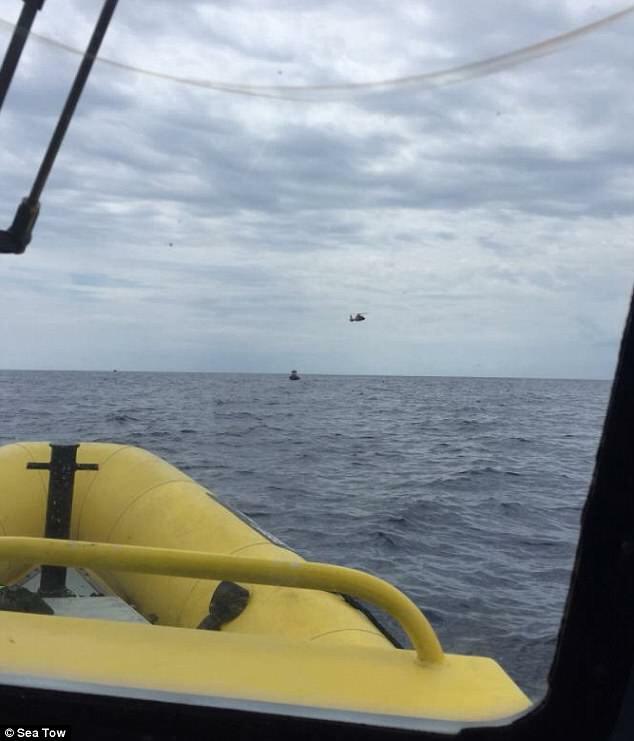 ST. LUCIE COUNTY, Fla. -- Two people died in a single engine airplane crash in the Atlantic Ocean, approximately 20 nautical miles east of Port St. Lucie on Saturday, according to the U.S. Coast Guard. The Miami Air Traffic Control Center notified U.S. Coast Guard of a suspected downed aircraft at approximately 11:45 a.m. According to the USCG, the pilot stated to the Miami Air Traffic Control Center he was changing course for weather avoidance and shortly after, they lost communication. Coast Guard crews located a debris field about 20 miles east of the St.Lucie Inlet. The two sole occupants of the aircraft were deceased.